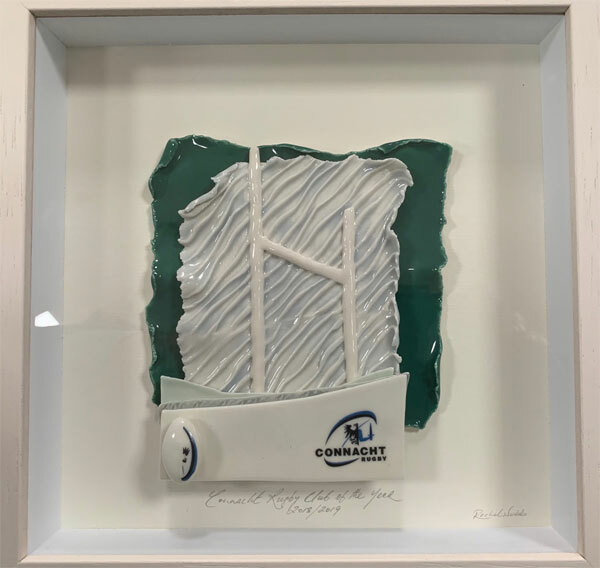 On Saturday night at the Connacht Rugby 2018-19 Awards Ball in Galway, Creggs RFC has been named as Connacht Club of the Year. 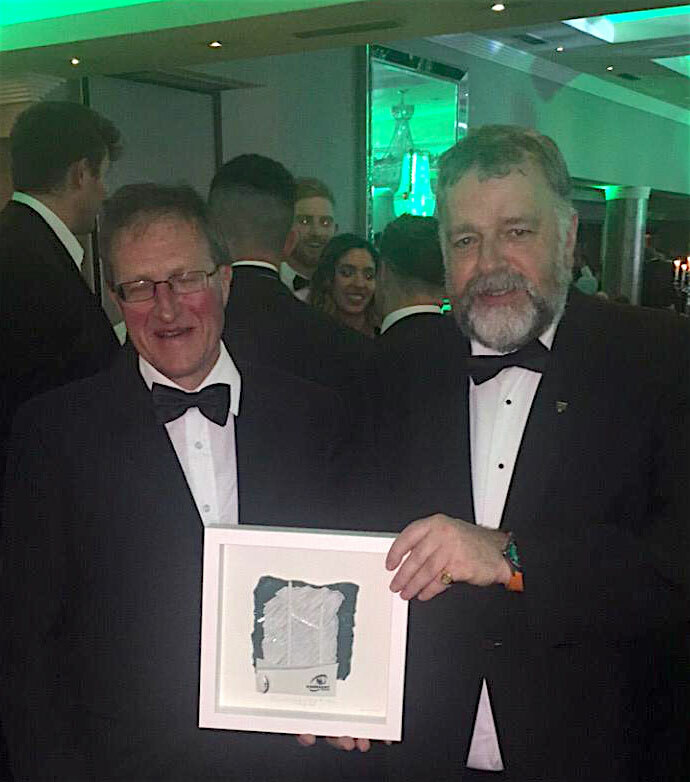 Creggs was shortlisted with senior clubs Sligo RFC and Ballina RFC, and the win was very well received at the prestigious sold-out event. 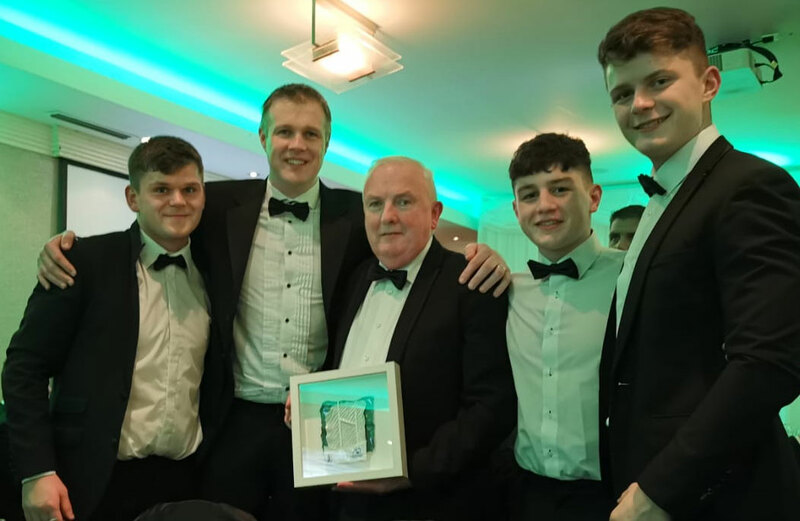 Creggs RFC – Connacht Club of the Year – Pictured L-R: Brian Diffley (who was shortlisted for Junior Rugby Player of the Year), Head Coach – Pat Cunningham, Club President – Padraic Deane, and Under-18 players Tim Lambe and Conor Rohan. Accepting the award on behalf of the club, Padraic Deane (President) thanked those responsible for recognising all the great work going on in Creggs, both on and off the field. He paid tribute to all the hard working members who make such an acknowledgement possible. There is great work going on developing facilities and the coaching and managing all the teams from Under-7’s upwards and it is truly wonderful. 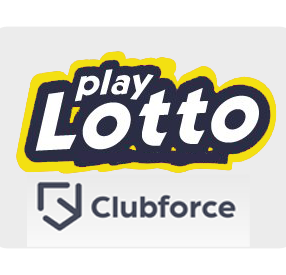 It’s a great community club, with a growing membership. Sean Brandon (Club Secretary) and Aidan Farrell (Club Treasurer) with the Connacht Club of the Year Award won by Creggs last Saturday night in Galway. 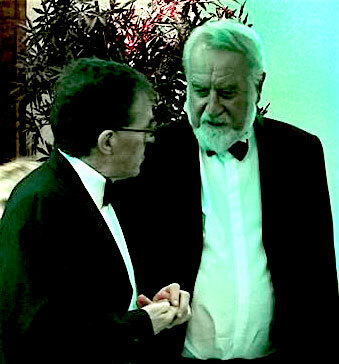 Club Secretary Sean Brandon and Creggs Connacht Deligate/Connacht IRFU Deligate Adrian Leddy having a quiet word last Saturday night. 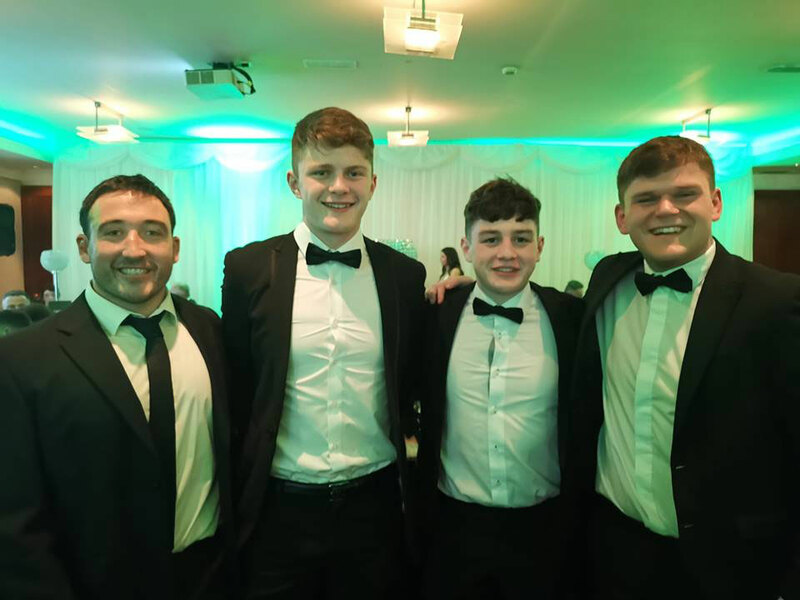 Connacht player and Creggs man Denis Buckley with some of our young guns at the Connacht Awards Dinner, Conor Rohan, Tim Lambe, and Brian Diffley. Creggs capped a super weekend by winning the Connacht Under-18 League Final in the Sportsground on Sunday afternoon. 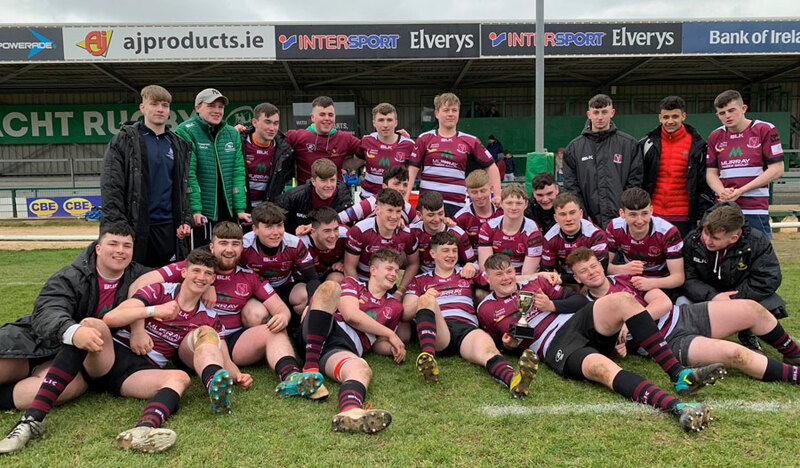 Creggs Under-20’s defeated Connemara RFC by 34 to 17 in the Quarter-Final of the Connacht Under-20 Cup but were understrength last week for the Semi-Final and went down last Sunday by 22-7 to Corinthians RFC in terrible conditions last Sunday. Well done to the players who were in the game up to 10 minutes from the end and to the coaches. The Under-20 will now play their final game of the season, the Connacht Under-20 Plate Final in Creggs the weekend after next v either Ballina or Ballinrobe – more details next week. Creggs Under-14’s finished a long are enjoyable season on last Friday night in Creggs, when they hosted Loughrea RFC and Midland Warriors RFC’s in the Fitzmaurice Festival of Rugby. A great evening was had by all, and thank you to everyone involved. Creggs Under-17’s will play Corinthians RFC in the Connacht Semi Final on next Monday (Bank Holiday – 22nd.) at 12 Noon in Creggs. We hope to see a big support for this team, who have had a very good season so far. 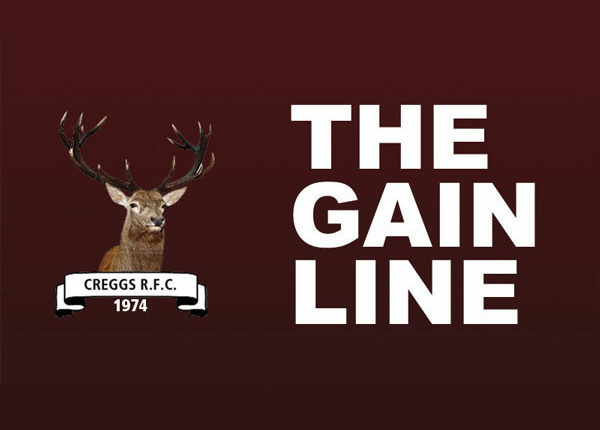 Creggs Rugby Under-17’s: Ben Finnerty, Sean Trundle, Aaron Lyons, Jack Deegan, Mark Purcell, Jack Tucker, Darragh Kiernan, Adam Donnelly, Conor McNulty, Ronan Lambe, Ethan Glennon, Tiernan O’Sullivan, Kyle Kelly, Shane Connaughton, Mark Dowd, Ciaran Purcell, Lorcan Maher, Daniel Hill, and Naoise Coyle.